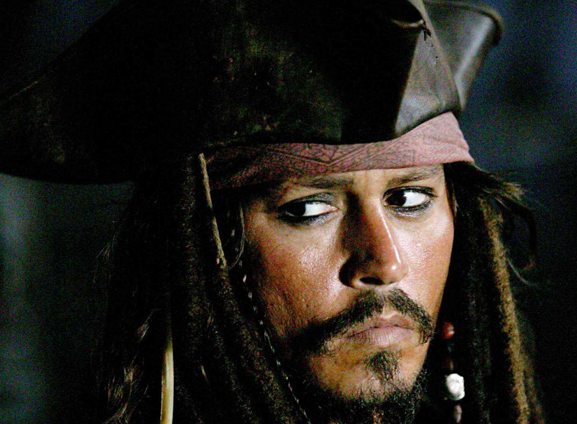 Snippets of Jack: "CAPTAIN Jack Sparrow"
Jack: "Captain... Captain Jack Sparrow." Town Clerk: "...for your willful commission of crime against the crown. Those crimes being numerous in quantity and sinister in nature..."
Governor Swan: "The charge is conspiring to save a man convicted of crimes against the crown and emperor and condemned to death for which the..."
Lord Beckett: "For which the punishment is regrettably is also death. 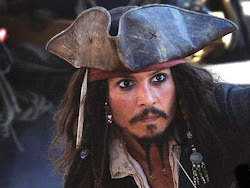 Perhaps you remember a certain pirate named Jack Sparrow." 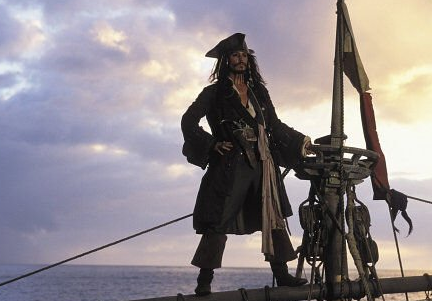 Lord Beckett: "Captain Jack Sparrow. Yes I thought you might." 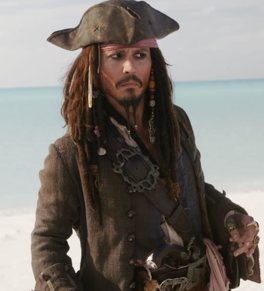 Jack: “The Immortal Captain Jack Sparrow. 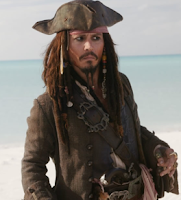 It has such a lovely ring to it…"
Guard: "Are you the real Jack Sparrow?" Jack: "There should be a Captain in there somewhere." In every movie, someone always manages to get it wrong! What is it going to take people to realize that he owns a ship? I mean, haven't you ever seen the Black Pearl? It's amazing! His captainess means so much to Jack. Can't people ever just abide to his wishes? Even as he's waiting to be hung, he complains about how he wishes for people to call him by his true potential: Captain. Will anyone agree to his final wishes?